As an employer, you don’t always have visibility over the extent and causes of workplace problems. 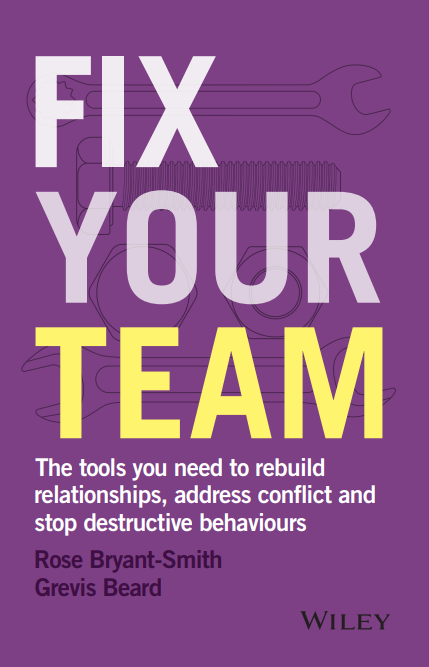 Bad behaviour and dysfunction can be hidden within teams, geographic areas, functional groups or chains of command. Increased turnover, sick leave, absenteeism and poor performance are all signs of dysfunction. Sometimes a critical incident has occurred, involving legal or reputational risks, serious injury or intervention by external regulators. not want to ‘stick their neck out’ or be seen as part of the problem. If you have a suspicion that something is ‘not quite right’, you don’t have to wait to receive a formal complaint. Trust your instincts, and address the problem before it festers. This is when conducting an independent workplace review or a faciliated discussion can provide you with invaluable insight and advice. Worklogic conducts independent workplace reviews of problematic, dysfunctional or unethical workplaces and teams, and of critical incidents. The goal of a workplace review is to explore and understand the situation, and to give practical and strategic advice to resolve the workplace problems. We identify problems, risks and opportunities to improve the morale, efficiency, functioning and ethics of the team. By conducting an independent workplace review, you can proactively explore the causes and resolution of workplace problems. You don’t have to wait for a specific complaint, resignation, stress leave or a legal claim – you can manage risks before damage and costs are incurred. Worklogic has conducted numerous independent workplace reviews into dysfunctional teams and workplaces at large and small organisations across Australia. Our highly experienced consultants conduct an independent, qualitative and quantitative exploration of what is occurring in the workplace. We are skilled at understanding the details and seeing the bigger picture, so we can design the right interventions and recommend strategies to address the issue. The ultimate goal of a workplace review is to identify practical interventions you can take, to make real improvements. We start by understanding your areas of focus. We are commonly asked to explore the employees’ experiences of supervision, organisational purpose, accountability, recognition, teamwork, trust, communication, leadership and culture. Our consultants interview your staff (and sometimes selected stakeholders) and give them the opportunity to provide their perspectives and experiences in the workplace. Where relevant, our consultants also review your HR statistics, incident reports and policies. The information obtained from this process provides an accurate insight into the employees’ experience of the workplace, and what is stopping them from performing at their best. We then provide independent, practical and actionable advice about the steps you can take to improve workplace culture, reduce risk, and improve productivity and compliance. Worklogic is independent, perceptive and practical. We find out what is really going on, and show you how to address problems, minimise risks and improve everyone’s experience of the workplace. This is why clients trust us. Book an obligation-free, confidential consultation to discuss your workplace problem and assess whether an independent workplace review would be effective.